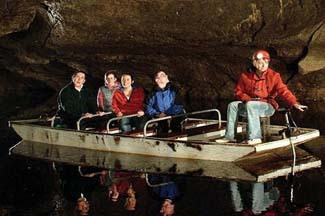 Taking in the world-famous Marble Arch Caves, the Geopark boasts some of the finest natural landscapes in Ireland. The Marble Arch Caves Global Geopark is rcognised by UNESCO as having exceptional geological heritage and is located in the rugged mountainous uplands and the gentle rolling lowlands of counties Fermanagh and Cavan. Taking in the world-famous Marble Arch Caves, the Geopark boasts some of the finest natural landscapes in Ireland and offers a window into the area's 650 million year past. Adult £8.50; Child £5.50; Student/OAP £5.75; Family £19.